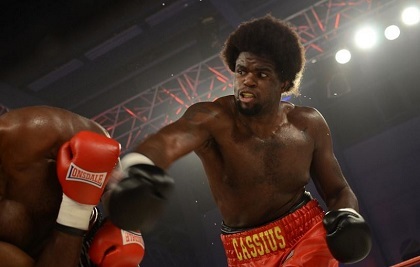 Cassius Chaney is an undefeated heavyweight prospect with a 13-0 record with 7 KO’s fighting out of New London, Connecticut. 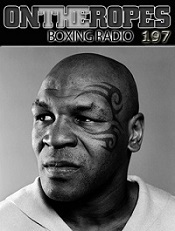 He is rated by Boxrec as one of the top 20 American heavyweights and is a fighter with his name and performances that have been gaining attention. Chaney is coming off a first-round knockout win from this past weekend over Elder Hernadez and is hoping to continue his momentum and climb up the ranks. I had a chance to speak with Cassius Chaney and get his thoughts on his recent win and future, here is what he had to say. Jenna J: Cassius you just fought and won your fight at the Mohegan Sun in Connecticut, what were your thoughts on your performance? Cassius Chaney: I think I did OK, I was just warming up. I’d say about a C. I’m not where I feel I will get, I feel like I did what I had to do with what I thought was going to be a real tough opponent, but maybe the body shots kind of hurt him a little bit and he felt a little winded. Jenna J: On the second knockdown of the fight Hernadez just took a knee and the fight was stopped. What did you think of him letting himself be counted out? Cassius Chaney: Before that I threw a jab to the body and I know it kind of hurt him, but we had sparred a lot before when I was in Florida and he was tougher, so I was just kind of surprised that he was not in good shape, but it’s all good. Jenna J: When you look at the heavyweight division where do you see yourself? Cassius Chaney: I think I am a wild card, I am a little bit unknown, but I think I am going to be able to make a big slash. There are some guys in the top 20 now that I know I’d give problems to, the more experienced guys. The guys with about the same experience as me are a little bit more difficult to figure out. So I’d say in a few more fights I’ll be making a splash. Jenna J: When you look at the heavyweight division there was some news, Deontay Wilder and Anthony Joshua will not be fighting each other next, what were your thoughts on that fight falling apart? 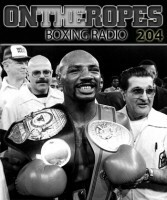 Cassius Chaney: I understand it from a business standpoint I guess, I do remember when I started boxing the Lennox Lewis, Riddick Bowe situation and I feel it’s like that, but the opposite with the England guy avoiding the American, but Klitschko did the same thing for years so I guess that’s just the thing now. Hopefully, boxing gets back to where guys just fight and it’s not so predicated on an undefeated record, but right now everyone just wants to keep their 0. Jenna J: Joshua turned down 50 million dollars, what did you think of that? Cassius Chaney: Yeah, that’s crazy, but who is to say he does not make 15 million a year with sponsors and fights, so it’s hard, I understand it. But you can’t turn down 50 million, but I like Joshua, I like Wilder, both of those guys at some point, if let my body keep developing and I just keep getting in the ring, I’m going to be a different type of fighter. Jenna J: Your first name is Cassius and of course, there was a famous “Cassius” before he changed his name to Muhammad Ali. How do you feel about sharing that name? Cassius Chaney: It’s great because I honestly feel I was supposed to fight at a young age, but I am happy I didn’t because I don’t know where I’d be if I started fighting early. I think I might have started fighting in the streets and stuff like that. The fact that I did not know how to helped me be a better basketball player and transition to boxing the way that I have. I work hard so if I just keep up the work I’ll be able to live up to my name. Jenna J: How soon do you see yourself getting back in the ring? 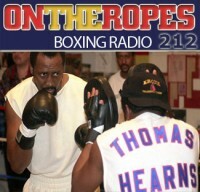 Cassius Chaney: I am hoping in August, possibly on the Kovalev undercard. 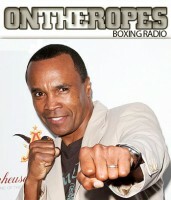 I do really well on HBO undercards so I am looking forward to that. 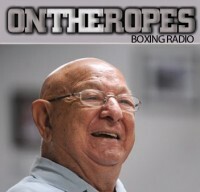 2 Responses to "Cassius Chaney: “I like Joshua, I like Wilder, but if I keep developing and getting in the ring, I’m going to be a different type of fighter!”"
Cassius is in one of the hottest divisions in the sport. He has the size and he seems to be getting better. Age might be a factor, but at heavyweight is wont matter as much. I can’t see a 31 year old former basketball player making it big. I know guys like Michael Grant did ok, but really, what Basketball playing guy became champ?